How to watch Atonement (2007) on Netflix Netherlands! Yes, Atonement is now available on Dutch Netflix. It arrived for online streaming on August 31, 2018. 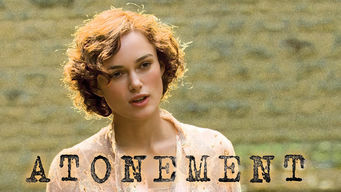 We'll keep checking Netflix Netherlands for Atonement, and this page will be updated with any changes. Young Briony fingers a young man for a crime after she discovers a lustful letter and witnesses a sexual encounter between him and her sister. A jealous girl makes a horrible accusation. If one lie ruins everything, can she make amends with another?